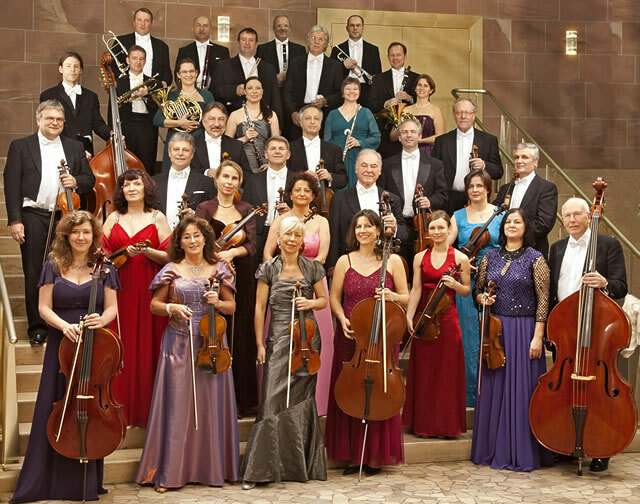 Reviewers call the Johann Strauss Orchestra Frankfurt "specialist of the Light Classics", and its numerous New Year’s, Carnival, Open-Air, Christmas, New Year’s Eve and Spring concerts bear this out; not to mention Opera, Operetta and Broadway Galas, or even lending a musical touch to conventions, conferences and events of all types. Let the Johann Strauss Orchestra Frankfurt invoke the magical atmosphere of the Vienna Opera Ball when it plays for your ball. The salon ensemble, the Johann Strauss Ensemble Frankfurt (5 musicians or more), is perfect for smaller events - a first-class musical delight. Under the name Frankfurt Symphony, the Johann Strauss Orchestra Frankfurt performs a wide repertoire of classical music, including symphonic and operatic works, as well as providing the orchestra for oratorio concerts with Men’s, Women’s or Mixed Choirs and/or soloists, furthermore film music concerts and crossover projects.